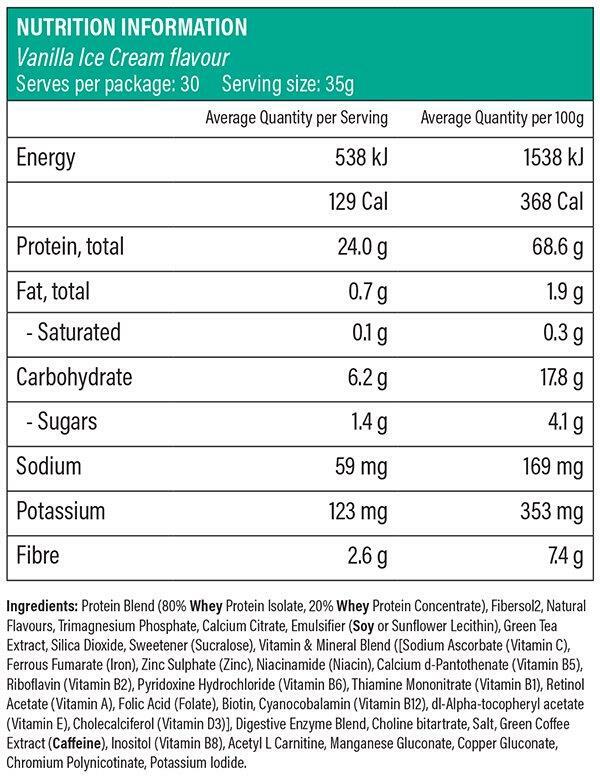 27kCal 24g Protein 0.7g Fat 5.8g Carbs Designed to provide an ideal amino acid ratio from Whey only protein sources, with 80% coming from WPI and 20% WPC, x50 100% Lean Whey is a premium protein with high levels of naturally occurring amino acids for optimal muscle recovery. Made gluten and artificial flavour free, x50 100% Lean Whey is formulated to support an optimal thermogenic environment with added fat metabolisers, is packed with 24 vitamins and minerals to ensure you are supporting your health and immune system optimally, as well as including the patented Fibersol ingredient, which offers a gut health promoting fibre supplement. Gluten FREE Naturally Flavoured 24 Vitamins and Minerals With added digestive enzymes and amino acids that support fat metabolism, x50 100% Lean Whey helps support fatty acid breakdown, reduces the risk for bloating and may also help regulate blood sugar levels to help control sugar cravings and hunger as well. Support your health, increase your vitamin and mineral intake and ensure you are controlling your appetite as well as increasing muscle repair and recovery with 1 serve of x50 100% Lean Whey 1-2x daily as a part of a nutritious diet. Please Note - Contains 26mg Caffeine per serve.DIRECTIONSAdd 1 scoop to 250ml of your choice of milk or water in a shaker and shake. Feeling creative? 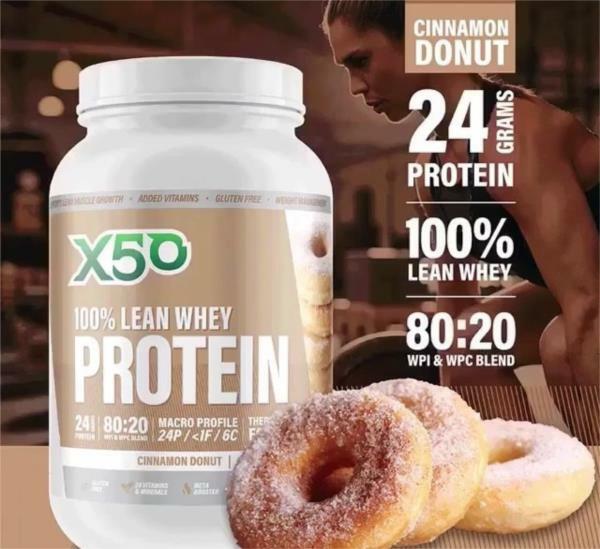 There are loads of wheys to enjoy X50 100% Lean Whey. Use it in oats, smoothies, pancakes, waffles, cakes, ice cream and more! !